It's time to get a little mud on the tires. And boots. And faces. And ... ATV helmets? Oh yeah. That's how it rips in the Eel Valley in the summer. 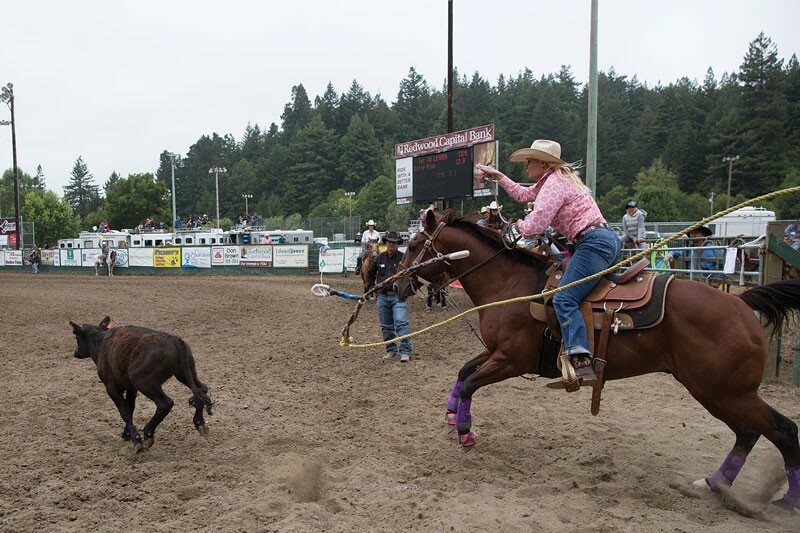 Grab your hats and shine your buckles, it's time for the 95th annual Fortuna Rodeo, July 11-17. The fun begins Monday, July 11 with a chili cook-off and live music on Main Street at 5 p.m. (free to taste while the tastin's good) and continues Tuesday with children's games at the Redwood Village Shopping Center from 6 p.m. to 8 p.m. (free) and a hang-on-to-your-hat carnival Wednesday through Sunday starting at noon at Rohner Park ($25 wristband). On Wednesday, catch the Junior Rodeo at 5 p.m. at the Rodeo Grounds ($3, $1 kids) and street games starting at 6 p.m. on Main Street (free). The next go-round takes place Thursday with fireman's games on Main Street at 6:30 p.m. (free) and more junior rodeo action starting at 9 a.m. ($3, $1 kids), with barrel races in the evening at 7 p.m.
Sunday spurs on the good times with the Fortuna Rodeo Run/Walk at 9 a.m. on Main Street followed by a barbecue and live music at Rohner Park at 11 a.m. ($15). All the rodeo action bucks to life one more time at 1:30 p.m. ($8, $5) at the rodeo grounds.